At TERRE BRUNE HOTEL you can enjoy the possibility of three gourmets restaurants. Our Hotel restaurant serving international cuisine, is open daily for buffet breakfast & a la carte dinner , and a fireplace that will keep you warm in the winter. Les Caves; where you can enjoy the most luxurious and finest cheese and wine dinners; next to the warmth of a splendid chimney; while dancing till dawn. Finally but not least, our famous lebanese cuisine is served at Chez Michel; where you can enjoy fresh home made dishes from the famous Lebanese recipes; not escaping our Tabbouleh served with juicy grilled meat and Lebanese Hommos. Standing on a hill of its own, Chez michel is one of the country’s sought after Lebanese restaurants. 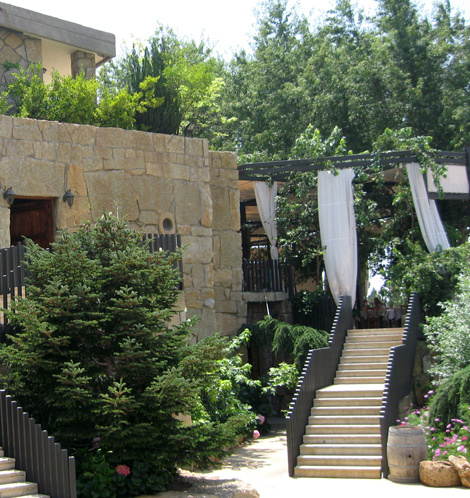 Surrounded by mountains and enriched with an all-around authentically crafted menu, this family-owned eatery has been Kfardebian’s jewel for years. Get your friends and family and head towards the center of authentic taste and timeless fun. With indoor and outdoor seating areas, Chez Michel Lebanese Restaurant is open throughout the year and is consistently delivering your favorite Lebanese Mezze and dishes choices. Grave the sweet gathering. Plan on having fourths and fifths at Chez Michel! Our sweetest recipes will keep coming to give you’re the real taste of Lebanon’s desserts and seasonal fruits. Sublime Lebanese food a cheerful ambiance has a new destination. Boost your weekends with Chez Michel’s live music shows and signature entertainment. Combining heavenly cuts and meats, glorious stews, exquisite salads, premium wines and a weekend entertainment program - Les Caves De Chez Michel brings new life to the steak house identity. Based on the concept of sharing, you can opt to select from the finest carnal delights and set menu for your whole group to enjoy or pick what your heart favors from the variety of scrumptious courses. Entertain your palate by choosing the superior selection of cheeses and prime wines from Les Caves’ French and local sommelier offerings. Give your sweet tooth a sweeter fix with our sublime desserts and delicacies. Extend the fun after a day of skiing and enjoy a glass of wine with Les Caves De Chez Michel’s after ski lunch specials. Prime steak sharing, healthy casseroles, soups salads and a glass of wine... a perfect scenario to unwind after your day of adventure. Share your successes. Shed the spotlight on your business successes and celebrate at the perfect location of Les Caves De Chez Michel . 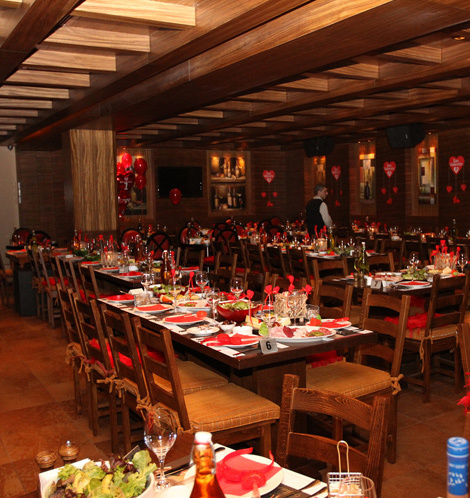 Gather up your key contributor or throw a private party for your team in an ambiance of delightful food and mood. When words don’t suffice, steal your honey for a romantic dinner getaway. The fireplace, intimate setting and succulent gourmets will say it all. Share a dance. Or three. Go beyond Les Caves de Chez Michel’s mouth-watering food choices and plan for a vibrant Friday and Saturday evening with DJs and a special live entertainment. Feel like a celebration repeat? 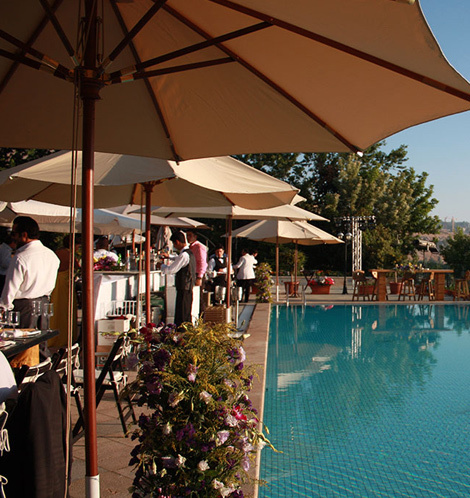 The luxurious Hotel Terrebrune is Just a stone’s throw away.